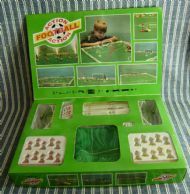 A right old mix of subbuteo rip off (the box) and a classic player on spring type game with Subbuteo elements to the gameplay. Made in Greece by Perma Toys. 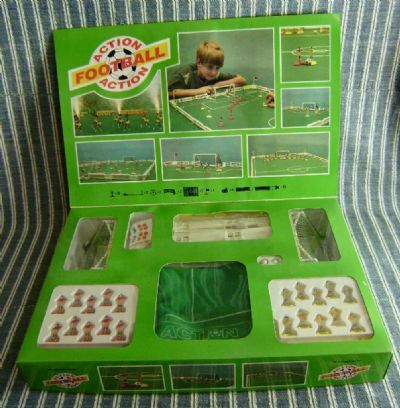 Total Subbuteo knock off box design! 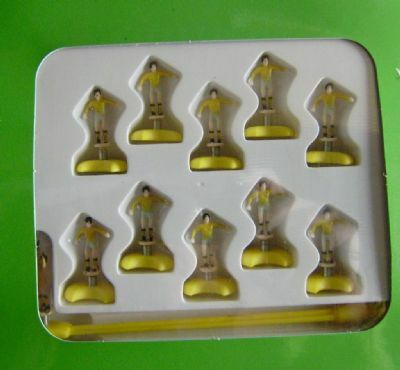 Subbuteo clone layout and goals plus balls, 22 players on springs and pitch surround. 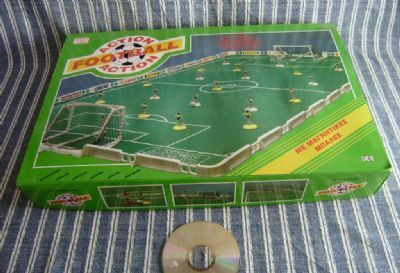 Player nearest the ball gets to move next. 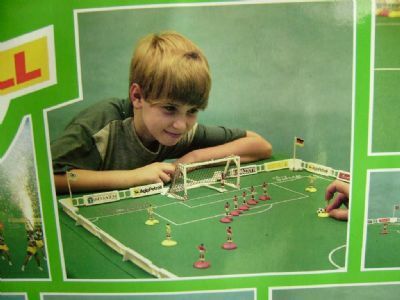 Nice simulation of football. 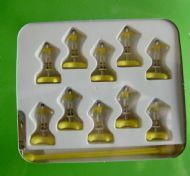 Nice figure design, if a little basic. 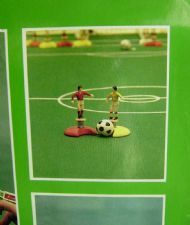 Yellow kit is an original feature. 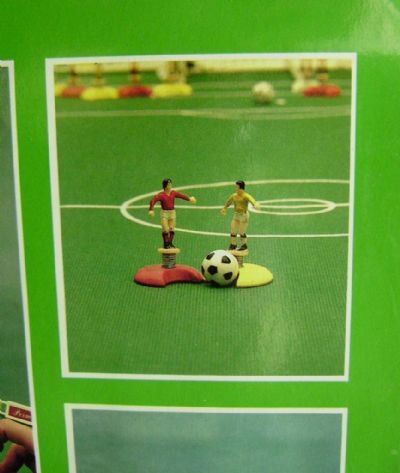 Subbuteo size players on springs with recessed bases to hold the ball when shooting or passing.